Flight to Pisa. There is a short transfer to Livorno, Tuscany’s second city, which has a Medici Fortress and mercantile ‘Little Venice’ area, for one nights bed and breakfast accommodation. After breakfast, depart Livorno and head inland to Volterra, 45 miles away, an ancient walled town on a hilltop dominating the rolling Tuscan countryside, with medieval and Renaissance buildings, Roman theatre, forum and baths. D.H. Lawrence called Volterra ‘an inland island’; it has a unique atmosphere and the popular vampire novel ‘New Moon’ was set here – and you can see why! You continue the short distance to the pretty harbour and resort of Marciana Marina for 3 nights half board accommodation. Marciana Marina enjoys a superb setting beside its pebble beach, backed by Monte Cappanne, which rises to over 3000ft. 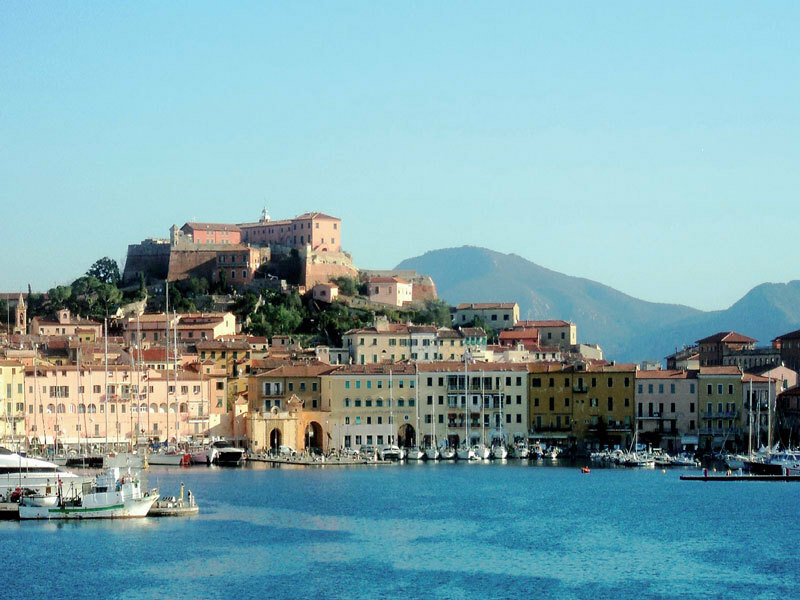 2 – Full day tour of eastern Elba, featuring Lacona, Porto Azzuro, Napoleon’s Villa at San Martino, with time in Portoferraio, Elba’s main town, which has a scenic harbour setting below its historic hilltop fortress. Today you leave Elba and return to mainland Tuscany. A stop is made in Siena before continuing to the walled city of Prato where you spend three nights on a bed and breakfast basis (total today 150 miles). Siena is best known as the city of the Palio Horse race, when the districts of the city compete in a spectacular bare back horse race – the horse can win for its district even if riderless at the finish! The race takes place on the spectacular, shell shaped Piazza del Campo, betopped by the 100m high bell tower of the graceful Palazzo Publico. St Catherine of Siena is, with St Francis, on of Italy’s most stunning Gothic churches. Prato is just 10 miles from Florence and is historic in its own right. Although Prato is an important modern centre for textiles, the old town within the walls is a world apart – a lovely place to stroll and enjoy the real Italy. Your hotel is just a few steps from the town walls, so it’s easy to explore. There is an included half day walking tour of the old city of Prato. After the tour, your Tour Director will accompany those who wish to the equally impressive nearby city of Pistoia, where once again the old city is close to the station and has a lovely cathedral square. On the other day again, your Tour Director will accompany those who wish to Florence – arrival by train is at the conveniently central Santa Maria Novella Station close to the cathedral. The train journey time to both Pistoia and Florence is approx. 20 mins. Free time until your transfer to airport and your flight home. Depending on flight times, there may be time for some last minute shopping/sightseeing en route.